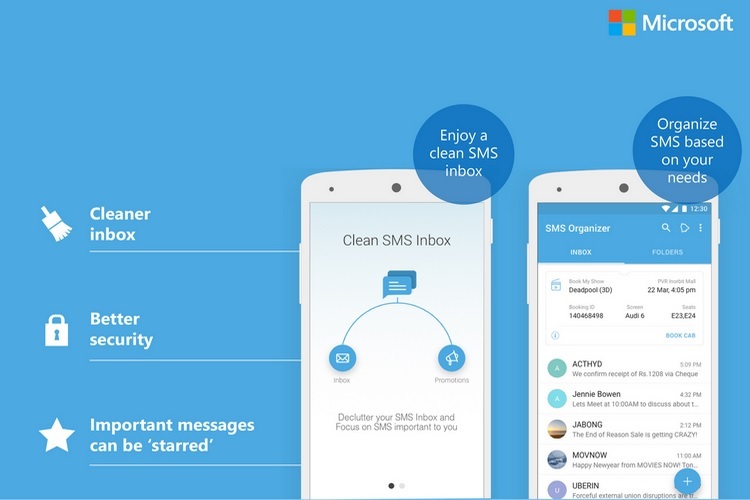 Microsoft’ SMS Organizer for Android is one of our favorite SMS apps, so much so that we’d recommend it to anyone with an Android smartphone. The app offers a ton of handy features that allow users to effortlessly manage their inbox which are continuously bombarded with a slew of promotional and marketing messages. Even though the app pretty much covers all bases and addresses all of a user’s potential needs, Microsoft keeps adding even more new features, making the app better with each successive update. Now, as a result of Microsoft’s partnership with the Central Board of Secondary Education (CBSE), users will be able to check their class 10 and 12 board exam results from within the app. 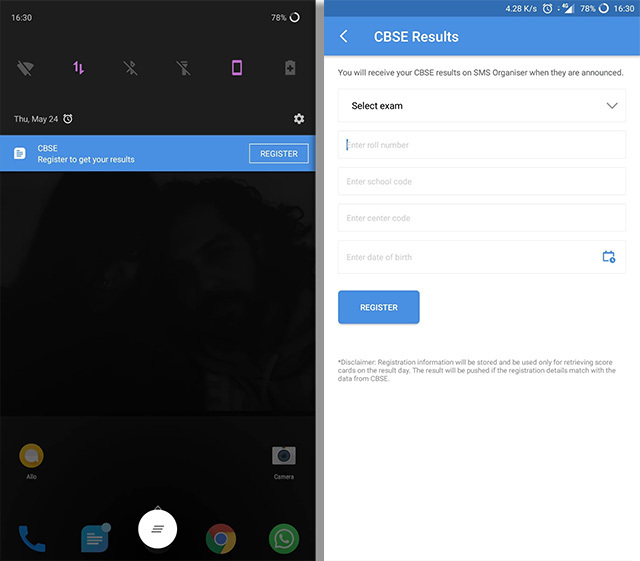 The new feature alerts users with a notification that prompts users to register their details in order to receive their CBSE result via the app. If you’ve been waiting to check your CBSE board exam results and don’t want to depend on shoddy internet connectivity and CBSE’s easily overloaded servers, the new feature on the SMS Organizer app is meant just for you. In order to receive your results directly on the app, you can tap on the notification and fill in your details, including the exam, roll number, school code, center code, and date of birth, on the provided form. Once you register for the results on the app, you can relax without any worries, as the app will automatically deliver your exam results to your phone as soon as they’re released by the CBSE. As the SMS Organizer app works offline, the results will be sent to you even if you don’t have internet connectivity. Earlier this year in January, Microsoft rolled out a major update for the app which brought the ability to track the user’s funds and bank accounts from within the app. At a time when the country is steadily moving towards a digital economy, the feature proved to be quite handy for all those who had a tough time keeping a track of their account balance.